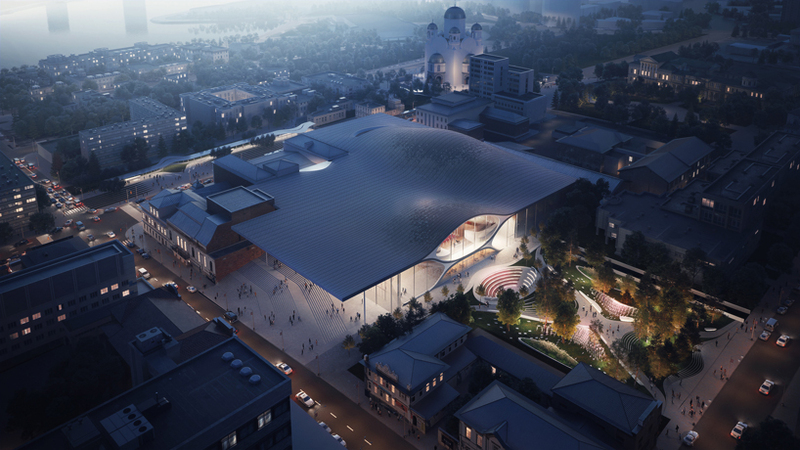 zaha hadid architects has been selected by the jury of an international design competition to build the new sverdlovsk philharmonic concert hall in yekaterinburg, russia. 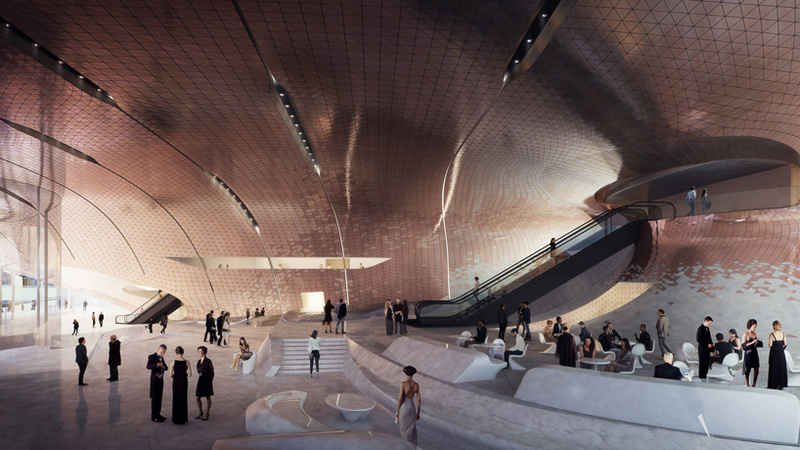 echoing the physical aspects of sound waves, the design is based on the properties of musical sound resonance creating wave vibrations in a continuous smooth surface. 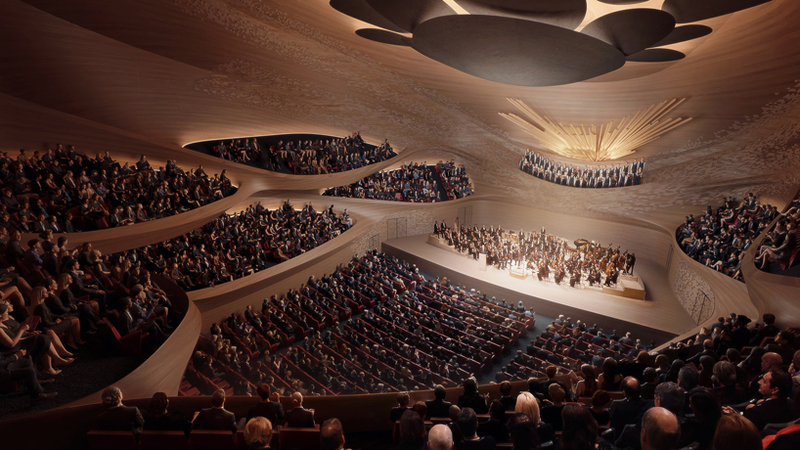 zaha hadid architects’ design re-interprets these physical acoustic properties to define spaces for the auditoria, which includes a 1,600-seat concert hall and a 400-seat chamber music hall. 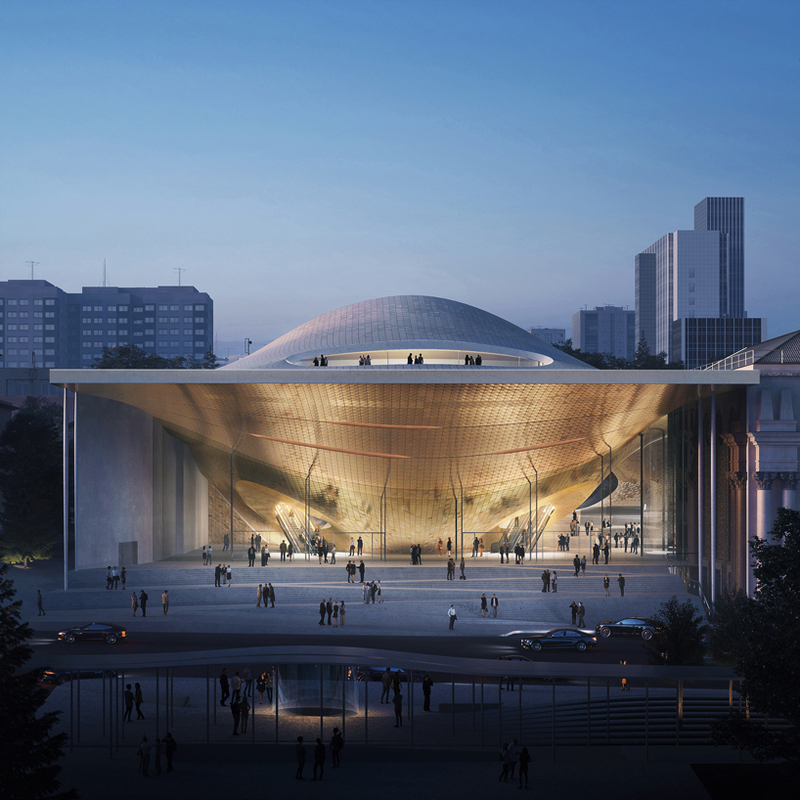 these spaces are nestled within the surface deformations of the suspended canopy, appearing to float above the new civic plaza that is both the lobby of the philharmonic concert hall and an enclosed urban square. 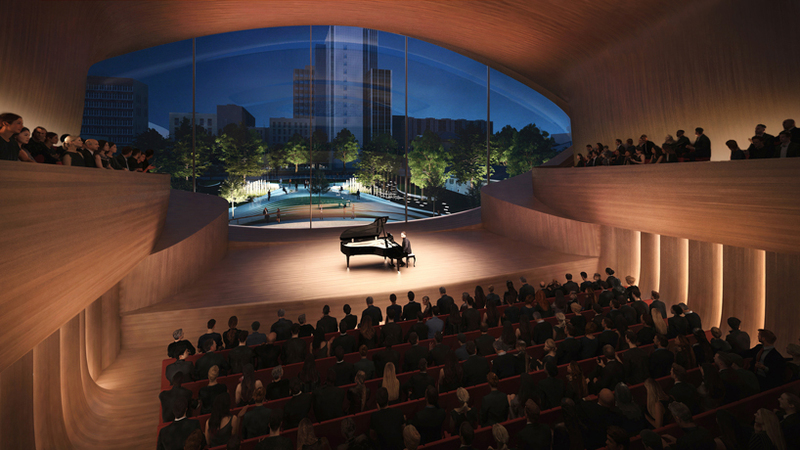 the lobby serves not only as an introduction to the world of symphony music, but also as a welcoming public plaza for all members of its local community. 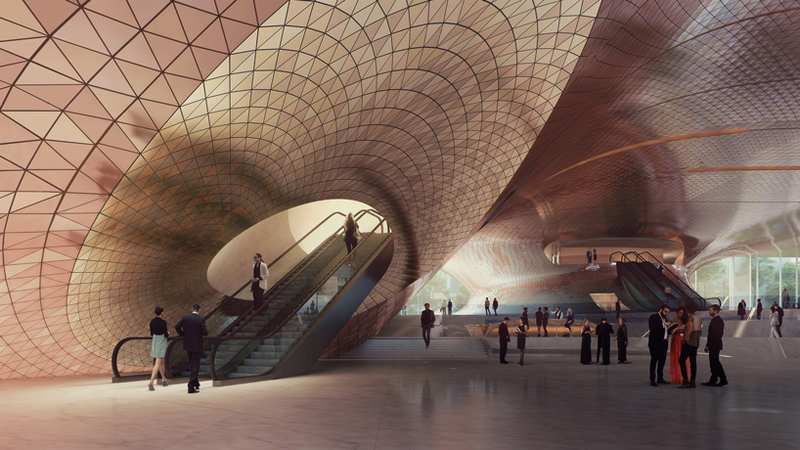 large glazed facades blur the boundary between interior and exterior; inviting visitors to experience the spaces within. 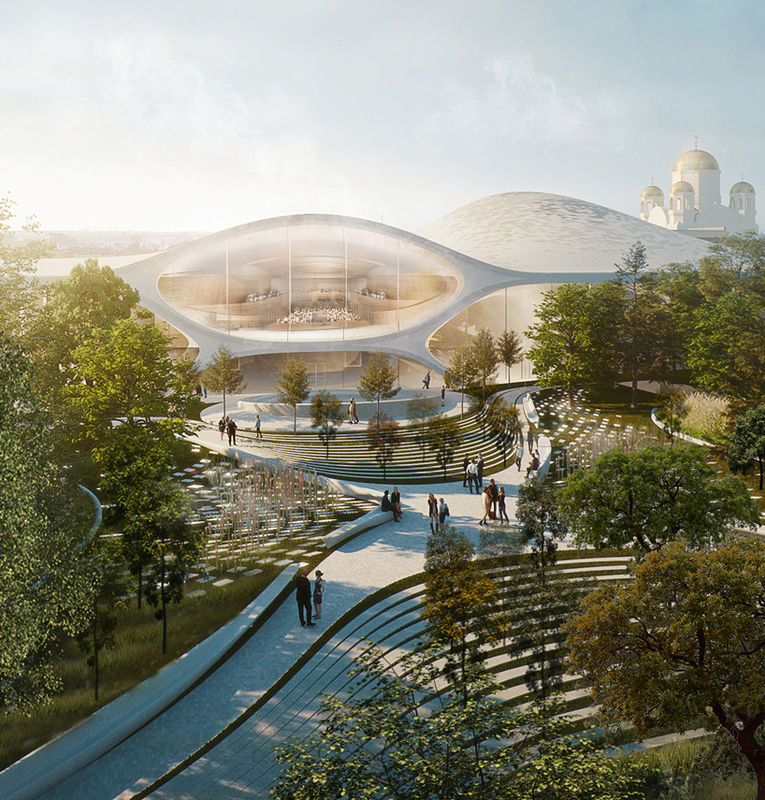 zaha hadid architects was selected from 47 international teams who submitted proposals. 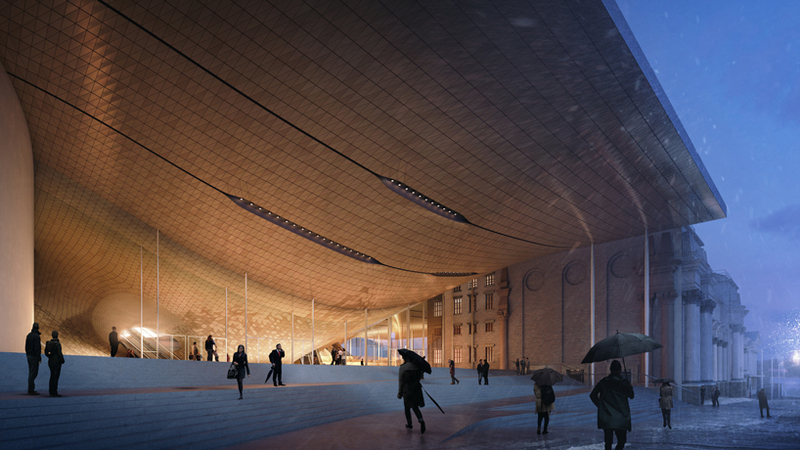 the design competition was organized by the ministry of construction and infrastructure development of the sverdlovsk region, with the assistance of the charitable foundation for support of the ural philharmonic orchestra. 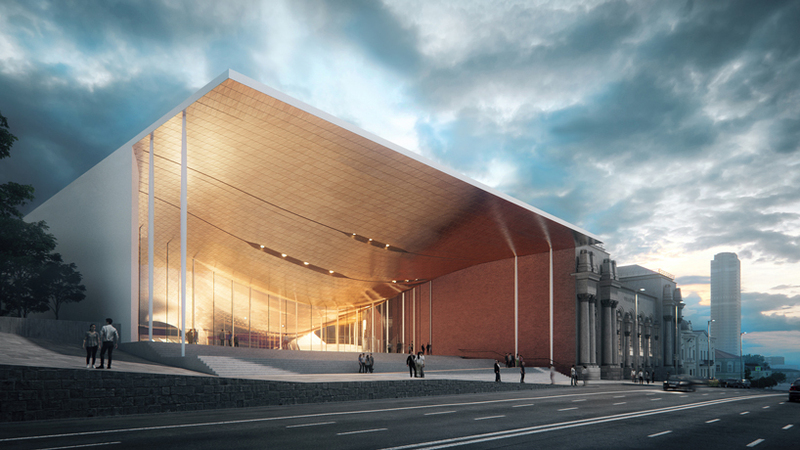 the existing sverdlovsk philharmonic building dates back to 1936 and is very well attended throughout the year. 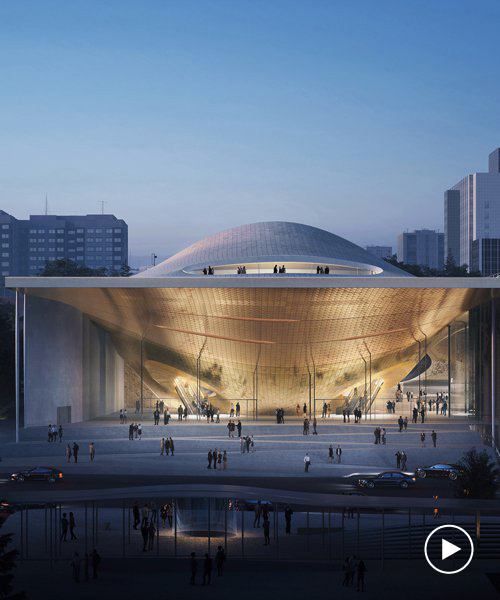 the orchestra’s new home seeks to provide an inspirational venue to meet the increasing popularity of the orchestra’s program of concerts — and also create a new public plaza for the city. WELL DONE PATRIK! It is SO good to have you back!